The ZTE Quartz was one of the more affordable Android Wear smartwatches on the market when it launched back in April, but now you can get it for even less. T-Mobile is now selling the ZTE Quartz for $96, which is 50 percent off its normal asking price. If you’d like to go the EIP route, you can get the ZTE Quartz for $0 down and $4 per month for 24 months. 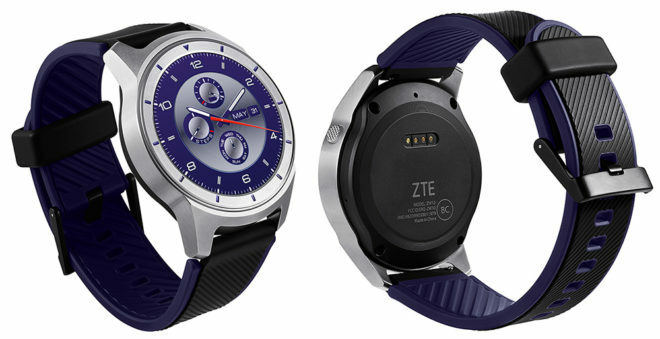 As a refresher, the ZTE Quartz is an Android Wear 2.0 smartwatch with a round 1.4-inch 400×400 OLED display, Snapdragon Wear 2100 processor, 768MB of RAM, 4GB of storage, and a 500mAh battery that ZTE says offers up to 36 hours of battery life on a single charge. There’s cellular connectivity built in as well as GPS, a speaker, and a microphone, and the watch body is IP67 rated for dust and water resistance. If you’re looking to give smartwatches a try for the first time, the ZTE Quartz could be worth considering for $96. It is missing NFC which means that there’s no Android Pay support here, but it does offer some other nifty smartwatch features, like a speaker and microphone for taking calls and GPS to help you track your activities. Have you tried the ZTE Quartz yet? If not, does this deal have you thinking about buying one? Want the real sports watch instead of just a fashion watch, look at the Fenix 5. I’d disagree, I love it. Only thing I dislike was the band, but it is very easily swapped out. Tempted but someone on another article said the sim starter kit is required with purchase. No sim starter kit on devices with embedded sims. I will not buy any device with an embedded sim. Because you can’t switch devices on the fly by swapping sim– forces you to make a call. Oh, so that’s only for new customers I guess? The site said so. Just pre-ordered Apple Watch 3, also has a “soft sim” and I had to pay no fee. So service is required then. I chatted with customer service about the watch and the $25 SIM starter kit IS required. Also, if you want to have your same phone number on the watch through Digits there’s an extra $10-$15 monthly fee. Thank you Hall for confirming. It all depends on what time you call in and to whom you speak to. I called in after midnight, 2 different nights and received 2 different prices. I was even offered more savings if I took advantage right then. I ended up with a deal on the second night’s call that never mentioned the Sim card fee but instead an “upgraded customer support fee” which was $5 cheaper than the Sim card. I balked at that and the shipping fee. I’m getting both reversed back to My bill and the watch will ship by the 16th, they claim. I’m an almost 8 year Tmobster and I ask what can you do for me in order to keep my services. Asking never Hurt anyone. Timing is everything. Keep point… Call and speak to a new rep if the first rep doesn’t help YOU. Stuff like that irks me and is the reason I don’t deal with customer service. I don’t want the watch that badly. No heart rate monitor, no 4G LTE. Still, if it had NFC i would’ve bought several. The lack of NFC drove me to get the Huawei Watch 2 instead. Get the Pebble watch. 1 week charge. I got one and thats how long i go without charging. Just turn off at night. I ordered mine on Friday. I currently use an LG G Watch R and I never use the heart rate sensor and it doesn’t have NFC so I’m not missing out on that. I’m not a fan of the black and blue strap so I’ll swap that out ASAP, but $96 for Android Wear with Voice is a steal. I signed up for Digits so I’ll have the same number on my watch. So excited!